Boulder City Art Guild Members of the Boulder City Art Guild have installed a new exhibit of Western art at the Hoover Dam Lodge. A reception in their honor will be held from 4-6 p.m. June 18. Boulder City Friends of the Library is hosting a book sale to benefit the library. The sale will be held from 4-8 p.m. today, 10 a.m. to 4 p.m. Friday and 11 a.m. to 3 p.m. Saturday at the library, 701 Adams Blvd. A variety of fiction and nonfiction books will be available. Nothing will be priced more than $1. Councilman Cam Walker will host Popsicles in the Park from 4-6 p.m. today in Bicentennial Park, 999 Colorado St. There will be free popsicles from The Street Freeze ice cream truck and musical entertainment by DJ Mike Pacini. See Spot Run is looking for canine stars to be featured in its 2018 calendar to benefit the nonprofit dog park. A photo shoot will be held from 5-7 p.m. today in Wilbur Square Park, at the corner of Arizona and Colorado streets. A second photo school will be held from 5-7 p.m. Saturday in the dog park at Veterans Memorial Park, 1650 Buchanan Blvd. Chapter K of the Philanthropic Educational Organization will hold a yard sale from 7 a.m. to 1 p.m. Friday and 7 a.m. to noon Saturday at 807 Los Tavis Way. Items to be featured include clothing, housewares, toys, tools and home decor. Lakeview Terrace, 180 Ville Drive, is hosting a special pinning and color guard ceremony for veterans at the assisted living facility and their family members at 11 a.m. Friday. Representatives from Veterans Affairs in Reno will conduct the ceremony. For more information, call the facility at 702-293-0181 or visit www.lvterrace.com. The Boulder City Garden Club will meet at 6:45 p.m. Wednesday at the Boulder City Library, 701 Adams Blvd. Guest speaker will be Jessica Penrod of the Great Basin Permaculture, who will discuss “Permaculture Design for Mojave Dwellers.” Her presentation will cover the basics of permaculture design and provide examples of how to create simple and efficient systems to have connections with our natural environment through food, play and relaxation. 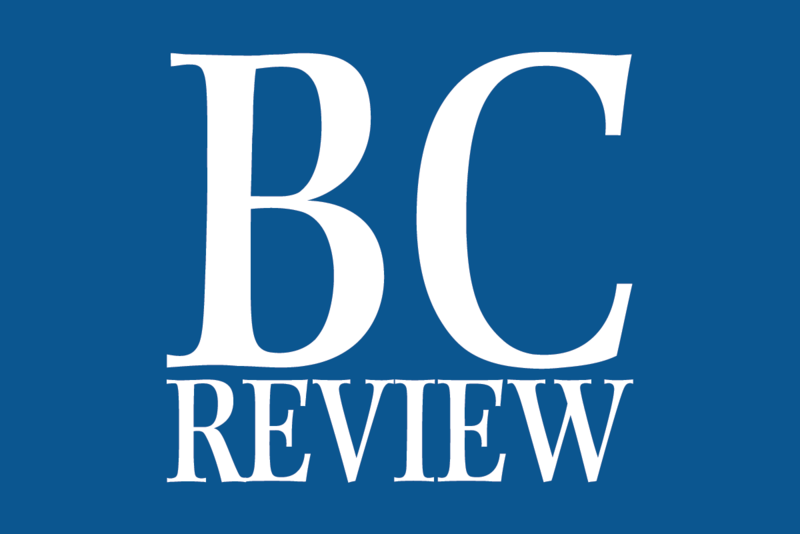 The talk will begin at 7 p.m.
Members of the Boulder City Chapter, Retired Public Employees of Nevada, will gather for their monthly meeting at 11 a.m. June 8 at The Homestead at Boulder City, 1401 Medical Park Drive. Guest speaker will be Terri Laird, executive director of the state association, who will present a report about the 2017 legislative session. Lloyd Martin is the featured artist for the month of June at Boulder City Art Guild’s gallery inside the Boulder Dam Hotel. Martin will be featuring works in watercolors, oils, acrylics and pastels. His paintings have been featured in juried art exhibits around the nation and been purchased by collectors in the United States, Europe and Asia. He has received awards for his works, including a recent first-place honor in a juried invitational exhibit held by City Lights Gallery in Henderson and an award-winning pastel in the Helldorado Days Art exhibit hung at Las Vegas City Hall. 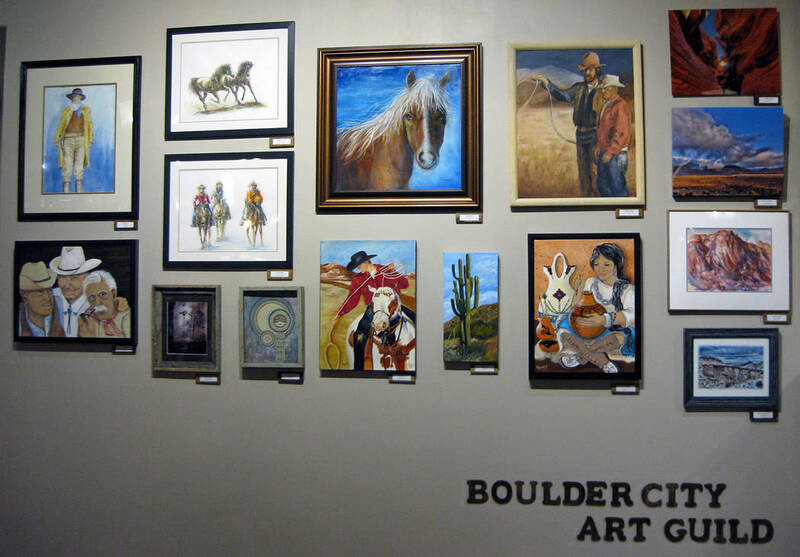 Martin is a member of the Boulder City Art Guild, as well as the Southern Nevada Watercolor Society and other art groups in the Las Vegas Area. A reception in his honor will be held from 1-3 p.m. June 11 in the gallery, 1305 Arizona St. It is free and open to the public. Additionally, members of the art guild have installed a new exhibit of works at the Hoover Dam Lodge, 18000 U.S. Highway 93. Artists will attend a reception in their honor from 4-6 p.m. June 18 at the lodge, where they will answer questions about their works. The People’s Choice awards will be announced and refreshments will be served. The exhibit continues through September. The Clark County Nevada Genealogical Society will host an after-hours genealogy fair from noon to 4 p.m. June 11 at the Paseo Verde Library, 280 S. Green Valley Parkway, Henderson. The event will feature a variety of classes and exhibitors. More than 20 organizations from throughout the Las Vegas Valley are expected to participate, offering information about family history and genealogy. To register, visit http://hendersonlibraries.com/website/event/91034 or visit http://www.ccngs.org for more information. Nevada Care Connection will provide information about Medicare, as well as obtaining help to cover costs and paying for prescriptions, during a Medicare bingo event at 10 a.m. June 27 at The Homestead at Boulder City, 1401 Medical Park Drive. Specialists will be on hand to answer questions and help complete and submit applications. Breakfast will be served and prizes will be awarded. Reservations are required by June 22. Call 844-850-5113 for reservations or more information. PFLAG will hold its June meeting from 6-8 p.m. June 27 at The Homestead at Boulder City, 1401 Medical Park Drive. During June and July, the group will host a pair of ally training sessions to educate people on LGBT issues and how they can better understand and support the LGBT community. Those who attend are straight and gay. The training is based on curriculum provided by Safe Zone Project. To learn more about the project, visit http://thesafezoneproject.com/about/what-is- safe-zone/. A board meeting will be held during the first hour, before the program begins at 7 p.m. Both hours are open to the public. The group offers discussion centered on education, advocacy and mutual support to discuss family issues with others who have experienced sexual orientation-related issues. Those who attend are straight and gay. The group hosts a helpline at 702-241-4050 and can be reached by email at pflagofbouldercity@gmail.com.